In his #1 New York Times bestseller Crimes against Liberty, David Limbaugh penned a damning indictment of President Barack Obama's misrule during his first two years in office. In this blockbuster book, Limbaugh sets his sights on the remainder of Obama's presidency, revealing the president's latest crimes against liberty. Exposing Obama's counterfeit image as a champion of bipartisan compromise, Limbaugh relates in shocking detail how the president resorts to class-warfare demagoguery to advance a stunningly ideological agenda. We must drastically change course, Limbaugh argues, or else our country will fall into an abyss that could take generations to escape. 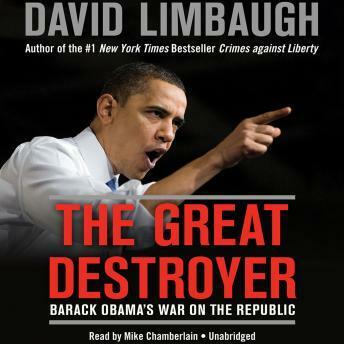 Controversial, compelling, and original, The Great Destroyer ingeniously picks up where Crimes against Liberty left off and is Limbaugh's most powerful book yet.